A Woman compulsively shops for luggage in order to sublimate her desire for a divorce; a senior citizen tries to force his family to visit by refusing to eat; Uncertain about the state of his relationship, a man obsesses over, but refuses to clean, a spot of mould in the bathroom. 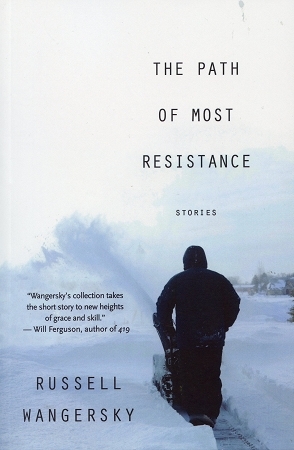 The characters in this collection try to change their through oblique resistance are perhaps most effective when carried out in smaller, more insidious ways. The Path of Most Resistance is an observant and compassionate look at the feelings of powerlessness that we all share.